New improved Diamantre Pro 4, better grip and lower rolling resitance than its predecessor the Pro 3. 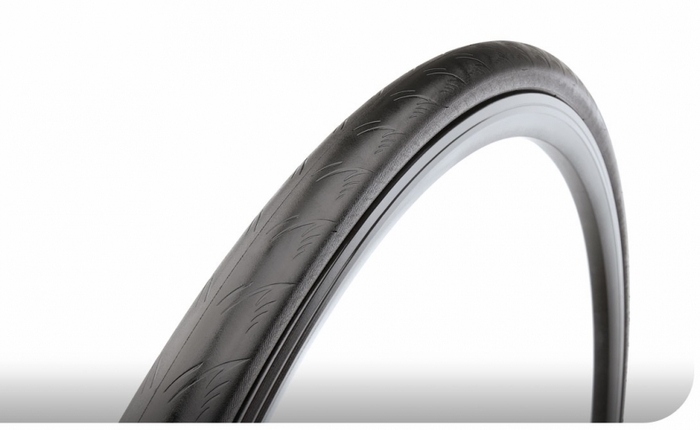 Lightweight with a flexible 220 TPI nylon casing, the Vittoria Diamante Pro IV Tire has a performance advantage your can feel. Its highly technical, modern tread design is made with ISOgrip Compound for secure, confident handling in all weather conditions. With bead-to-bead flat protection, the Vittoria Diamante Pro IV Tire raises the bar on racing performance tires.